We don’t do much to celebrate Easter around here, unless you count eating a ton of Easter candy. Seriously, Easter definitely wins the holiday candy race. Nobody else has Cadbury Creme Eggs. Christmas and Halloween just can’t compare. I look forward to these all year. 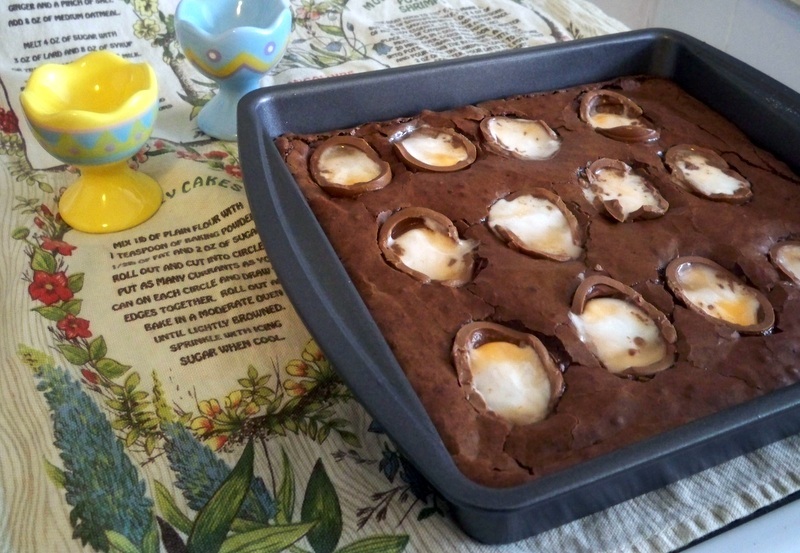 But just in case you were wanting to make your Easter candy even more awesome, I’ve made Cadbury Creme Egg Brownies. My husband had been begging me to make these for him for over a week. How could I refuse him? He finished his in about twelve seconds, so I’d say he was happy. They taste pretty much as ridiculous as you’d expect. It’s a fudgy chocolate overload. It makes you want to brush your teeth in the best possible way. 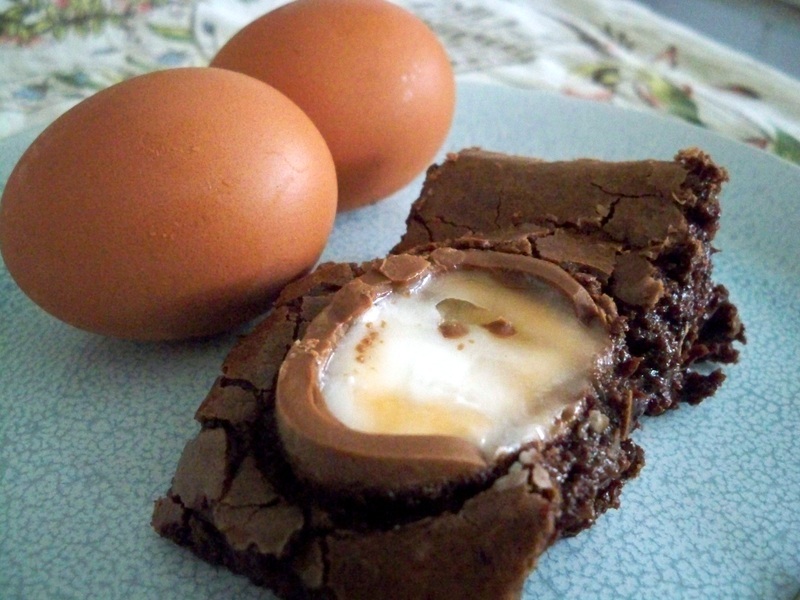 I mean, it’s Creme Eggs baked into a brownie. It’s awesome. Duh. I recommend waiting until closer to Easter to make these. The longer you wait, the more desperate your grocery store will be to get rid of their seasonal candy, and the Cadbury Creme Eggs are bound to be on sale. They’re still a bit of a splurge, but hey, that’s what holidays are for. Also awesome is the fact that these are made in a 9X9 pan, so even if you only have a countertop oven the size of a dorm room microwave, you can still make these. I know from experience. You could easily make these with your favorite brownie recipe, even if that comes from a box. I won’t tell, as long as you think it’s delicious. Here’s the recipe I used. Preheat oven to 325 and butter a 9x9 inch pan. Put butter and chocolate in a microwave safe bowl and heat for thirty seconds at a time, stirring after each interval. Continue until everything is smooth. Set aside to cool slightly. Crack your eggs into a bowl and add sugar. Beat them together until they're pale and fluffy and double in size. You can use an electric mixer or get your arm workout for the day by using a whisk. Pour your melted butter and chocolate into the egg mixture and fold to combine. Keep working until the streaks are gone. Sift your flour, cocoa powder, and salt into the batter. Gently fold this in. 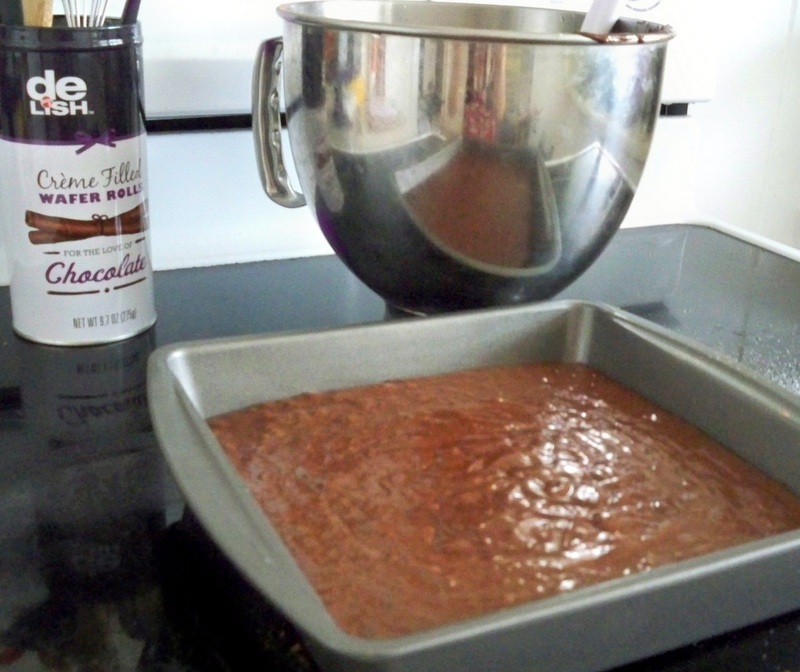 Pour your brownie batter into your prepared pan and bake for 15 minutes. Remove the brownies from the oven and gently press your Cadbury Creme Eggs, cut side up, into the the partly cooked brownies. Return the brownies to the oven for 12 to 15 minutes depending on your desired gooeyness level. Torture yourself by allowing these to cool completely before cutting. Good luck. *Measuring note: If you have a kitchen scale, I highly recommend measuring by weight. The recipe was written in grams, so cups may not be as accurate. They do have Cadbury Creme Eggs for Halloween. 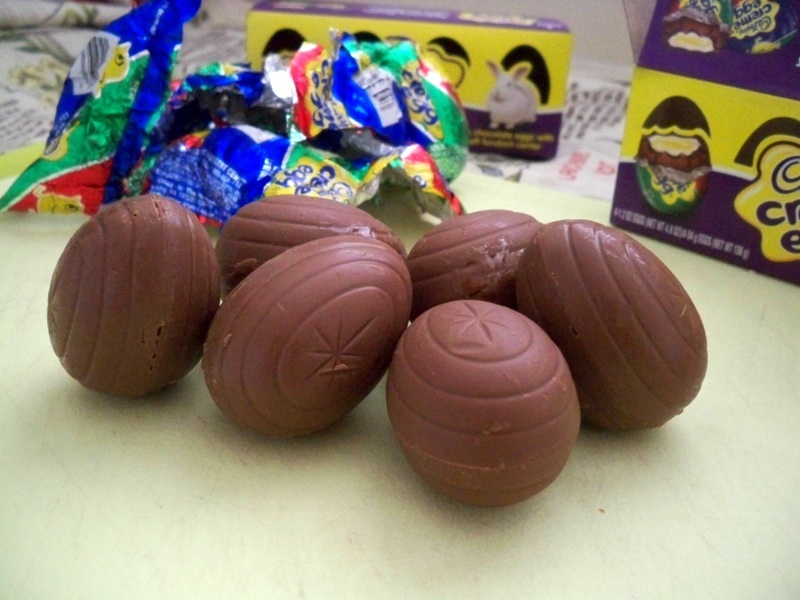 Except the yolk is green and they are called Cadbury S’creme Eggs. I have no doubt some genius will come up with versions for other holidays as well. I’ve never seen those. I’ll have to keep my eyes peeled now.